Marking the beginning of cruise tourism in India, the first luxury cruise liner ‘Costa neoClassica’ set sail towards Maldives capital Male from Mumbai harbour on Friday night. MUMBAI: Marking the beginning of cruise tourism in India, the first luxury cruise liner ‘Costa neoClassica’ set sail towards Maldives capital Male from Mumbai harbour on Friday night. Costa neoClassica is owned and operated by top European cruise company Costa Crociere, which is operated under the name Costa Cruise and is Italy’s largest travel group. Costa Cruise India has announced three, four and seven night cruise trips. The cruise from Mumbai to Cochin is a four-night tour, and Cochin-Male is again a three-night tour. A seven-night tour between Mumbai and Male is also available. “The tours have been planned from November to March this year. 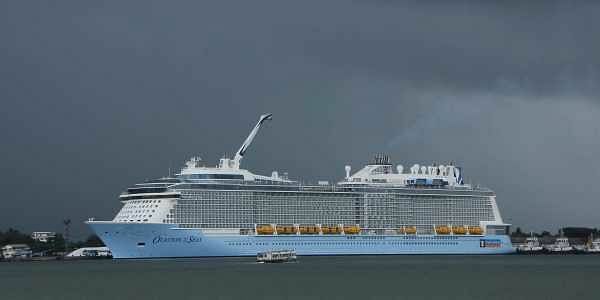 Some of the initial tours have all been sold off,” said Nalini Gupta, country head, Costa Cruise India. Gupta said while a night’s stay at a star hotel in Male would cost around 500 dollars, the cruise offer an three-night stay with an equivalent experience at a price lower than that. Costa neoClassica, which has 650 cabins and has a potential to carry 1,700 passengers, has all the amenities of a typical luxury cruise ship — luxury rooms, spa, casino, restaurants, swimming pool, jacuzzi, discos and theatres. Various short local tours are available wherever the cruise liner docks. Maharashtra Tourism Minister Jayprakash Rawal announced that a similar yet smaller cruise tour of a couple of days between Mumbai and Goa would be started next month. The tour is expected to begin on December 25. “Cruise tourism is the fastest growing sector and it is expected to create more jobs while making a value addition of Rs 32,500 crore to the national economy,” Rawal said. Costa neoClassica has chosen Mumbai as its home port. This is significant from the point of view of development of port business and passenger-handling, said Mumbai Port Trust Chairman Sanjay Bhatiya.“Over three lakh Indians go abroad to enjoy cruise tours every year. The services would now be available for them here at their doorsteps in Mumbai,” he said.